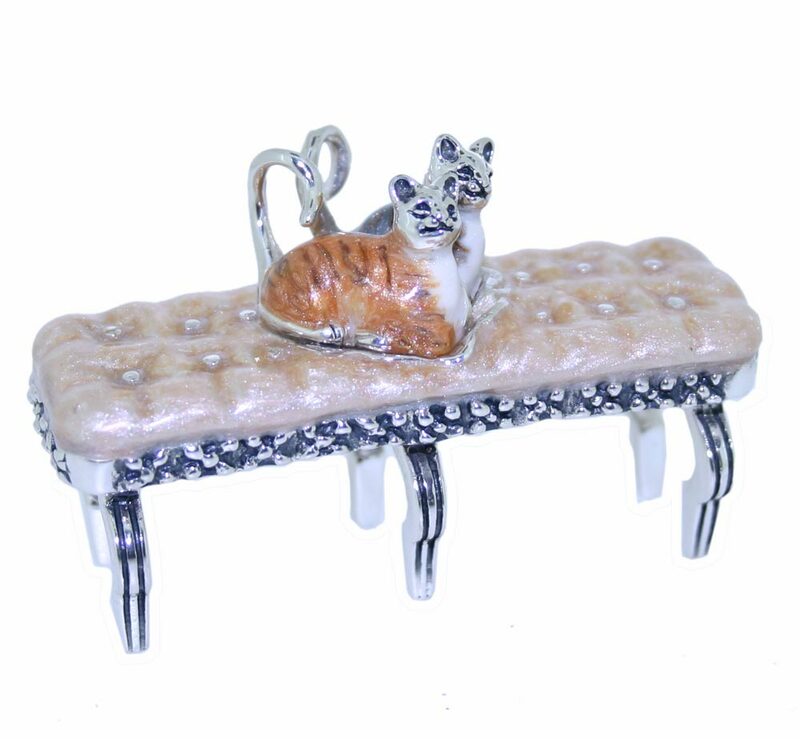 Saturno Silver and Enamel Cats on a Chaise Ornament - Connard & Son Ltd.
Saturno Sterling silver and enamel pair of cats sat curled on a Chaise. The cats are sat curled up with their tails high in the air, one orange and one blue/grey. The chaise is enamelled in a cream colour with the silver studding on fine legs.